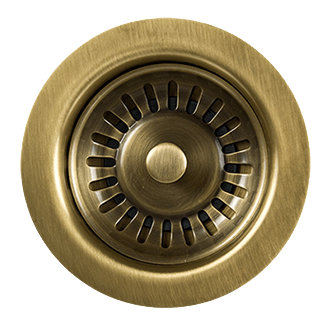 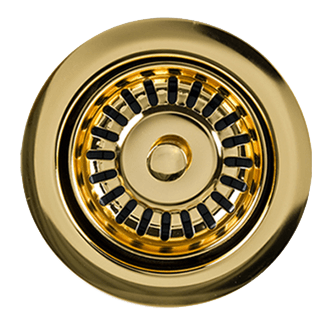 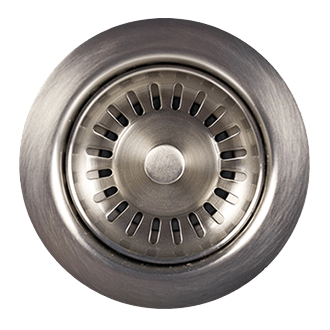 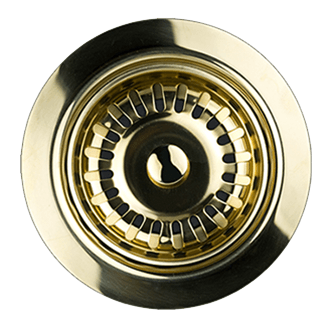 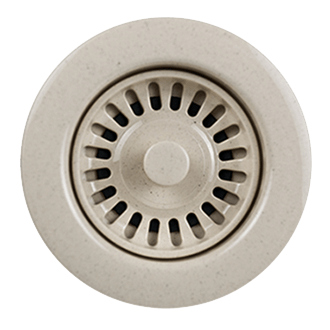 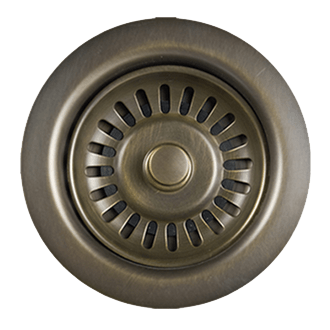 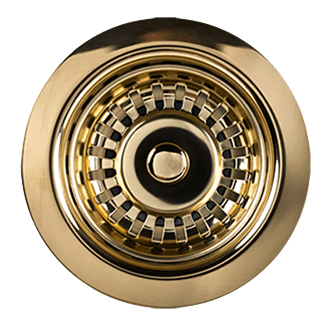 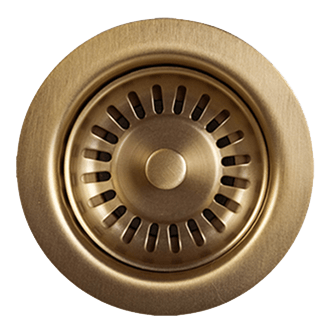 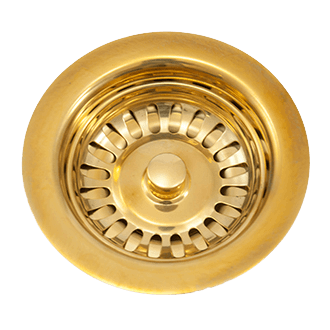 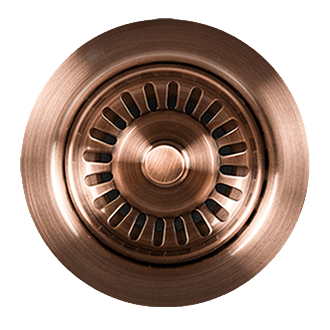 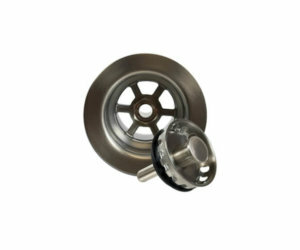 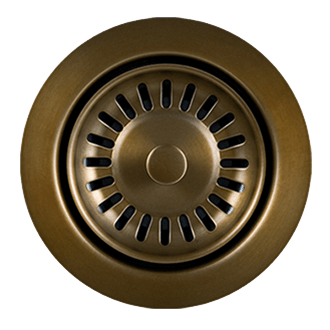 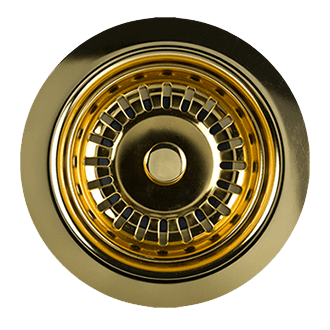 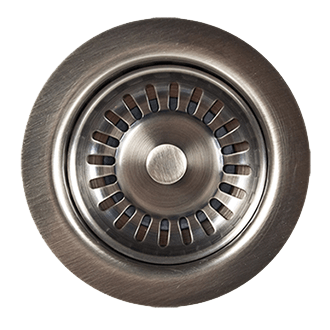 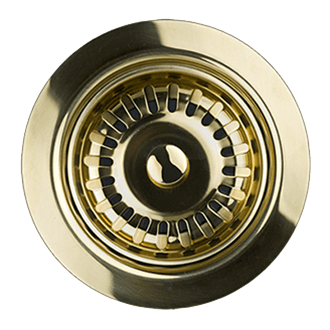 2-1/2" standard brass bar or food prep sink strainer. 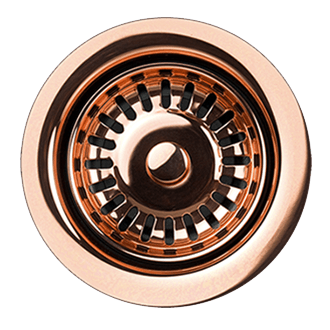 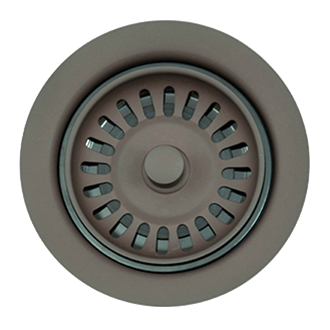 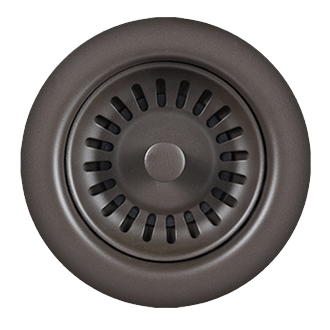 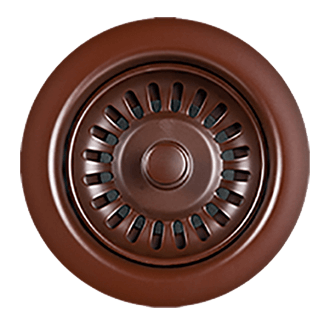 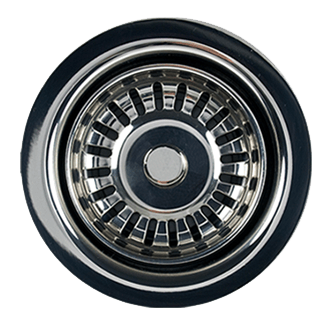 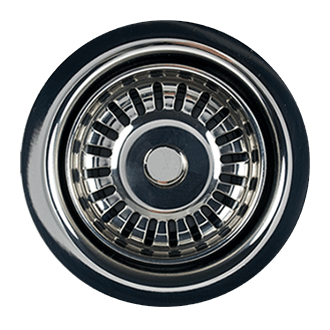 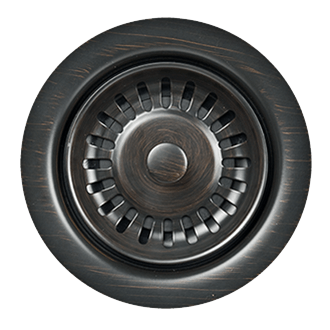 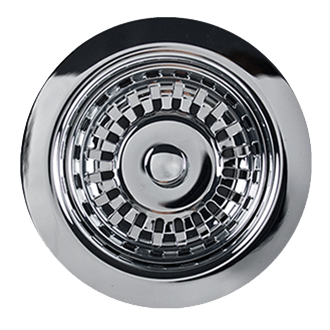 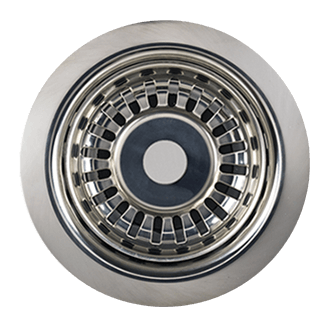 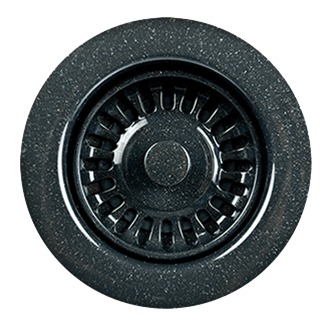 Available in multiple finishes to match your kitchen and/or bar/prep sink fixtures. 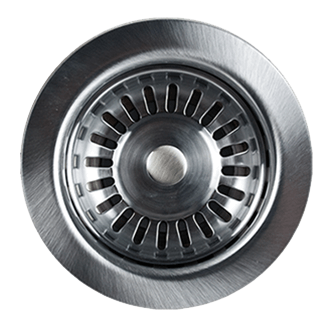 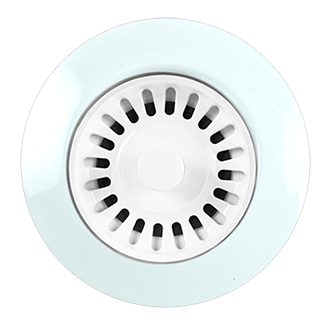 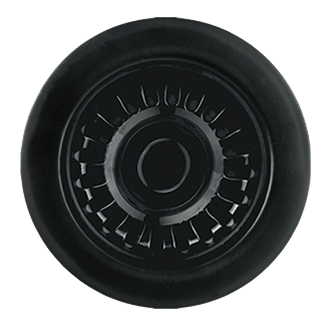 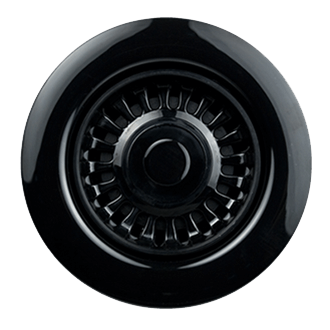 This generous 2" deep removable strainer basket catches any debris. 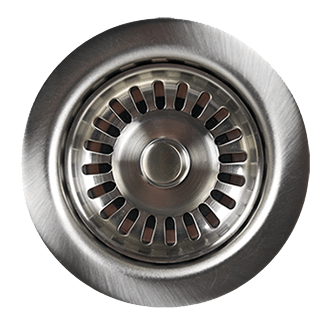 Does not have sealing function to hold water in sink.